A nebulizer is a device used for breathing therapy. Doctors usually prescribe nebulizers to asthma patients. They are easier to use than MDI’s especially for kids who aren’t old enough to properly use inhalers. Truchek nebulizers come in both portable size, which you can carry anywhere and large size that needs to be plugged into a wall. Before using the nebulizer, clean it’s parts and also wash your hands. Measure the medicine in right quantity before mixing and then place it in the container. Now put the mask on your mouth such that no gaps are left covering your nose and mouth. Continue breathing until the medicine is gone. This may take five to fifteen minutes. Keep the container upright throughout the treatment and lie down on the bed during the treatment. Asthma patients should discuss their nebulizer treatment plan with their doctors. 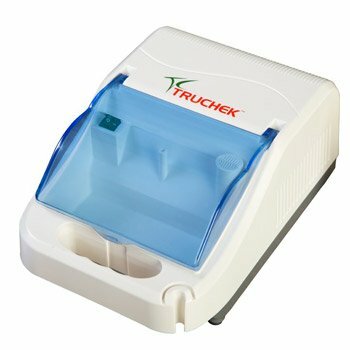 Truchek Nebulizers consume less power and they are easy to use. It is always good to keep a nebulizer as a backup if you are using an inhaler to avoid an emergency visit to the doctor. Nebulizers are surely an effective treatment for breathing problems but the treatment takes longer. Use a nebulizer only on your doctor’s prescription and follow the instructions given by him. Always read the manual before using the machine.